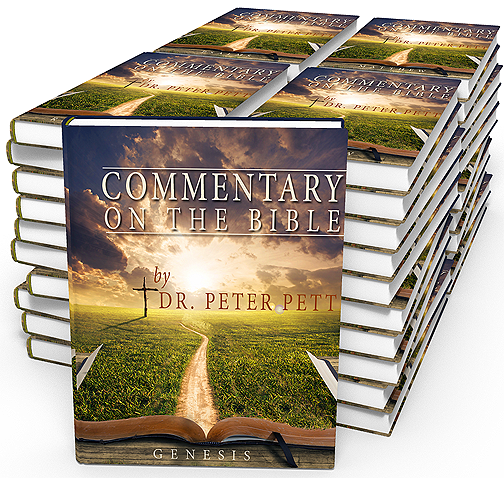 In this modernly written verse-by-verse commentary of the Bible (see book exclusions below), Dr. Peter Pett leads the reader through the Scriptures with accuracy and insight. Students and scholars alike will delight at Pett’s clear and direct style, concisely examining the original text, its writers, translations and above all, the God who inspired it. Hard copy note: You can also purchase a hard copy version of commentary here. With 75 megabytes of data, this 50 volume commentary is the sixth largest commentary available on this website (Lange, Biblical Illustrator, Pulpit Commentary, Constable, Calvin, Pett). Expositional, not technical, uses some British spelling. Often begins with a discussion of large passages first, with narrowing scope to the verse by verse level. Teaches a literal hell and eternal damnation. Two modules included with this download: Dr. Pett’s commentary and his Reference Library of materials (articles and books). Dr. Pett occasionally directs the reader to these articles for more information. The Reference Library module is a worthy of release just by itself (but is included in this download). See the end of this file description for the Table of Contents for the Reference Library module. This commentary has been published elsewhere over the years, spanning dozens of files in Topic/Book format instead of Commentary format. Those versions were simply copied and pasted, with no thought to formatting, verse/passage division, or real life use. This is not that version. This version is “done right”, with the most recent source material from Dr. Pett. 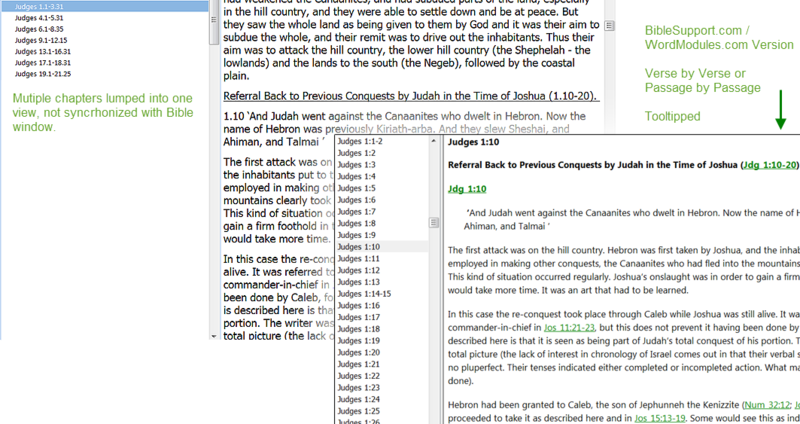 Indents and formatting preserved, especially around outlines, tables, and verse letter analysis. Special thanks to Dr. Pett, who has the patience of Job. I told Dr. Pett I would make this commentary in August of 2011. But I had not yet developed the tools and methodology for dealing with a large commentary (that I now have). I was overwhelmed, and circled back to it a few times, but it wasn’t until after the Lange commentary that I realized I could now complete this commentary. Even then, it took me a year to circle back to this project. My apologies to Dr. Pett and my gratitude for still letting us use his material. Dr. Peter Pett BA BD (Hons-London) DD is a retired Baptist minister and college lecturer. He holds a BD (good honours) from King’s College London and was trained at what is now the London School of Theology (formerly London Bible College). The one true God who lives eternally in three personae—the Father, the Son and the Holy Spirit. The full plenary verbal inspiration and supreme authority of the Old and New Testament Scriptures as originally given in all matters of faith and practice, seeing them as the written Word of God—fully trustworthy for faith and conduct. The atoning sacrifice of Jesus Christ on the cross: dying in our place, paying the price of sin and defeating evil, so reconciling us with God. The bodily resurrection of Jesus Christ, the first fruits of our resurrection; his ascension to the Father, and His reign and mediation as the only Savior of the world. The justification of sinners solely by the grace of God through faith in Christ alone without works being necessary for justification.. The Church as the body of Christ, united with His body, both local and universal, the priesthood of all believers—given life by the Spirit and endowed with the Spirit's gifts to worship God and proclaim the gospel, promoting justice and love. -----That It Might Be Fulfilled. 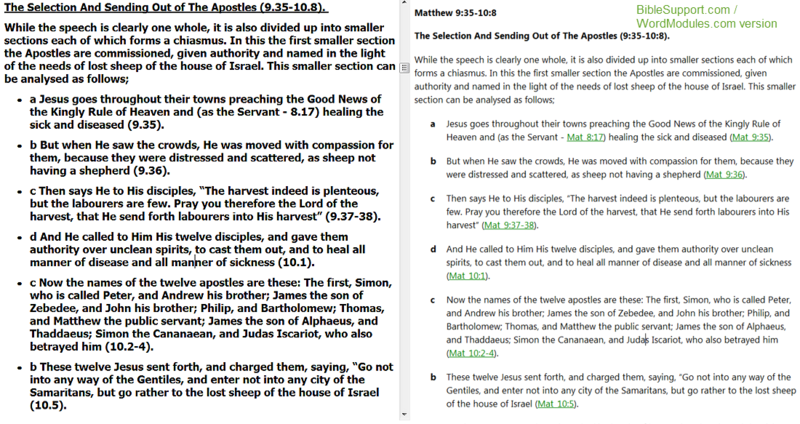 -----The Authorship of Matthew’s Gospel. -----Why Does Matthew Cite Jeremiah In 27:9-10 When The Quotation Appears To Be From Zechariah? -----The Dead Sea Scrolls and St. John’s Gospel. -----The Major Themes Of John’s Gospel. -----Eternal Security: Can a Man Be Saved and Then Lost? -----Conscience — Is Conscience the Voice of God? -----Divorce — The Biblical Teaching on Divorce. -----How Do I Become A Christian? 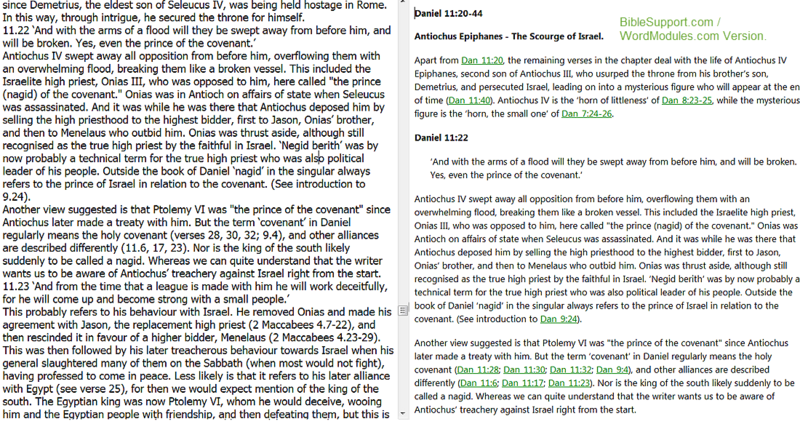 -----How Do I Go About Studying the Bible? -----Is the Bible the Word of God? -----Is The Church the True Israel? -----Living Utterly For Christ (Ephesians 3:16-19). -----Numbers — The Book of Numbers. -----What Are The Spirits In Prsion (1 Peter 3)? -----What Does The Bible Teach Us About the Virgin Mary? -----What Does The Future Hold? 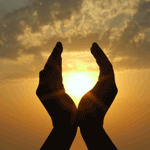 Are We Approaching the Great Tribulation? -----What Is The Minimum Necessary To Be A Christian? -----What Should The Christian Make of Halloween? -----Who Are God’s People Today? -----Will There Be A Millennium? -----What Does The Bible Tell Us About God? ----------God the Father of our Lord Jesus Christ. ----------About The Will of God. ----------About the Triunity of God (or The Trinity). ----------Chapter 2: The Spirit of the Lord Clothed Himself With Gideon. ----------Chapter 4: Are You Ready to Die? ----------Chapter 5: Do Not Let Sin Reign In Your Mortal Bodies (Romans 6hapter 5. ----------Importance of the Old Testament in New Testament Study. ----------The Holy Spirit in the Gospels. ----------The Holy Spirit in the Synoptic Gospels (Matthew, Mark and Luke). ----------Acts 2: The Pouring Out of the Holy Spirit. ----------Chapter 1: Why Are You Still Living There? ----------Chapter 2: Christ Lives In Me (Galatians 2:20). ----------Chapter 3: Abiding in Jesus (John 15:1-6). ----------Chapter 4: Reckon Yourselves As Dead To Sin And Alive To God (Romans 6:11). ----------Chapter 5: If Any Man Be In Christ He Is A New Creature (2 Corinthians 5:17). ----------Chapter 6: Take My Yoke Upon You And Learn of Me (Matthew 11:29). ----------Chapter 7: Seek First The Kingly Rule of God (Matthew 6:33). ----------Chapter 9: Putting On the Whole Armour of God (Ephesians 6:10-18). ----------Chapter 10: The Right Shoes And Shield (Ephesians 6:15-16). ----------Chapter 11: The Helmet of Salvation and The Sword of the Spirit (Ephesians 6:17). ----------Chapter 14: How To Pray (Matthew 6:7-15). ----------Chapter 17: Pleasing Him Who Has Chosen Us To Be A Soldier (2 Timothy 2:4). ----------Chapter 18: Our Use of Money And Our General Way of Life. ----------Chapter 19: We Who Have Believed Do Enter Into Rest (Hebrews 4:3). ----------Chapter 20: The Love That Passes All Knowledge (Ephesians 3:16-19). 3: Fixed issue with refx file related to a bug in e-Sword's text control. 2: Uploaded the wrong (beta) version the first time. The current download is the latest version. When I downloaded this Josh....the Tab Name....comes out "ABBR". I've got the Tab Renamer....but there may a lot of folks who don't....so I thought I'd give ya a heads up.....Oh yeah,thanks for this Commentary and Library Set (another labor of love !). Thanks for letting me know. I uploaded the wrong version, an earlier version I made before tweaking a few things. I just uploaded the latest version now. Error in text filter: Unknown format. Not sure what's causing that issue. I can't replicate this on my computer. Looks like there's a bug related to empty topics in the refx format. I have empty topics to produce a hierarchy since e-Sword doesn't support any kind of hiearchy (isn't a hiearchy organization basic e-reader functionality now days?). I made it so that the empty topics aren't empty. Gets us around this bug, this time. Thank you Josh - I've never seen this before either, and I'm always digging through my refx resources - on a daily basis. Works Great! I really like eSwords floating refx. library window and the way the resources are displayed. Thank you so much for youe extensive lists of commentaries and dictionaries they seem unexhaustable! What a wonderful resource! I am impressed that you get, not only the commentary, but the Libary Collection as well. I am looking forward to reading through these! Thank you Josh Bond for your work to make this possible. Any word on when this great scholar will be rounding out this set? I downloaded Dr Petts commentary but I cannot install it. Pc win 10.